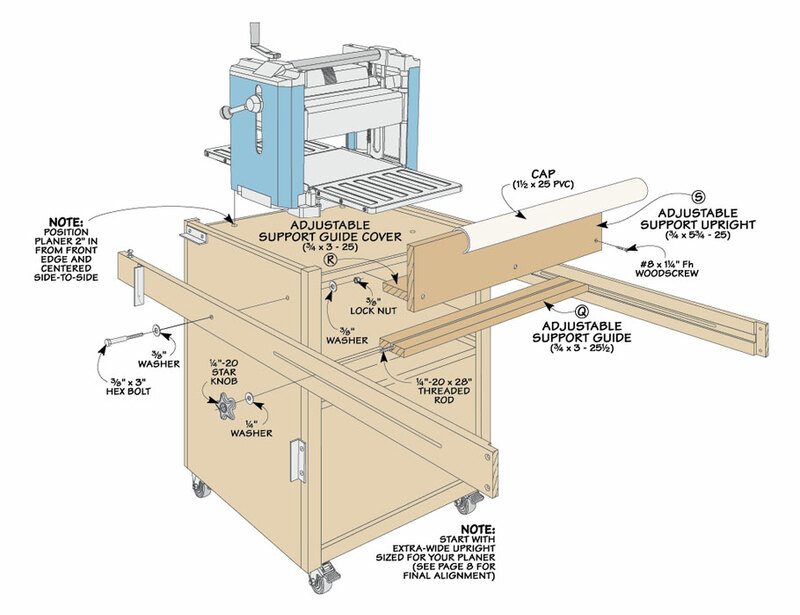 This project starts with a rugged, plywood case that puts the planer at just the right working height. 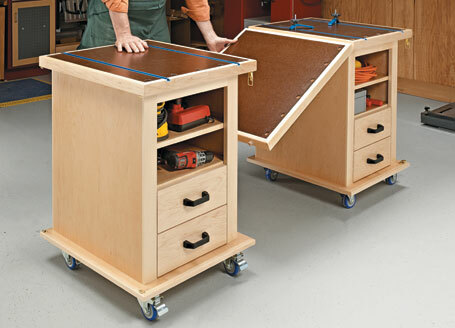 A drawer for accessories, a large open storage area, and locking casters round out the case. 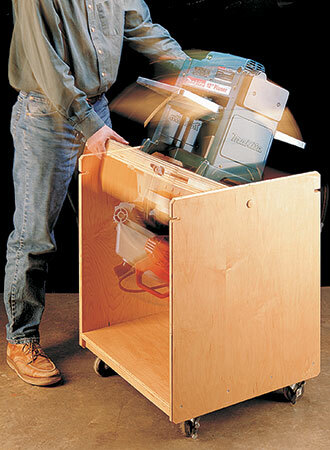 But the feature that really stands out is the built-in, adjustable outfeed support. 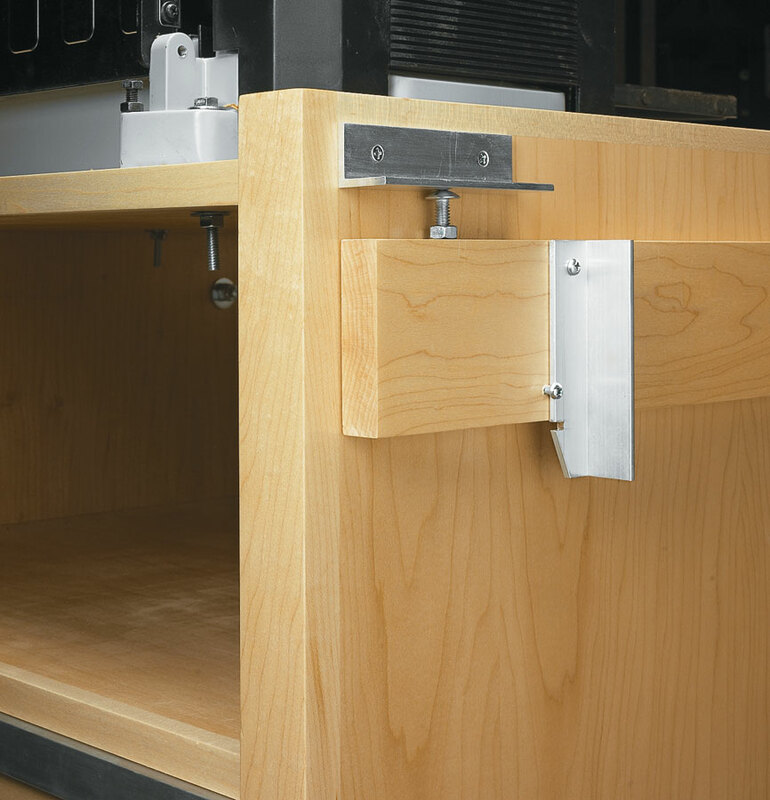 When the job is complete, the support swings up over the stand and locks in place for easy movement and compact storage. 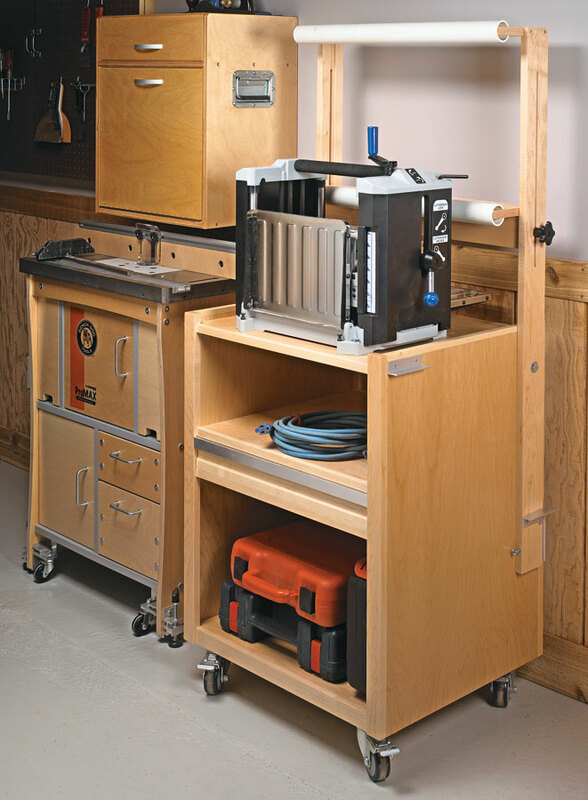 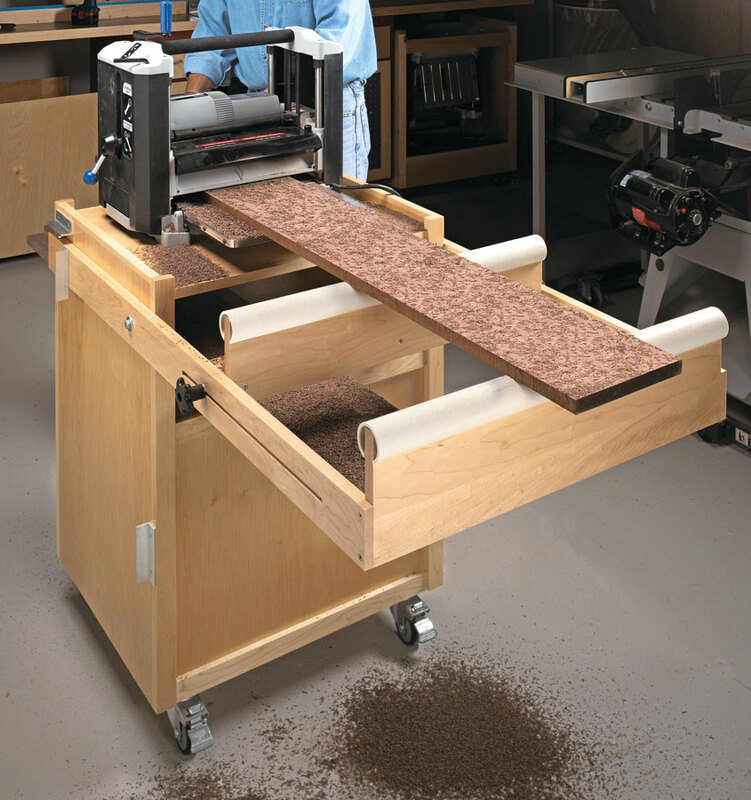 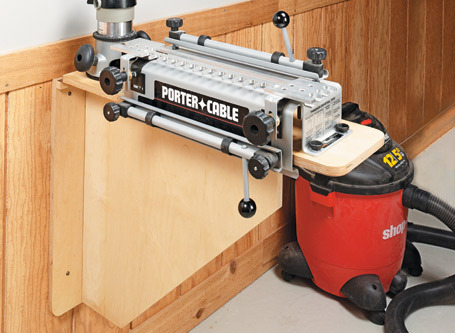 This easy-to-build cart turns a small benchtop planer into a compact workstation.